In a new clip from the year 2029, Neil deGrasse Tyson walks the world through the manned expedition to Mars. 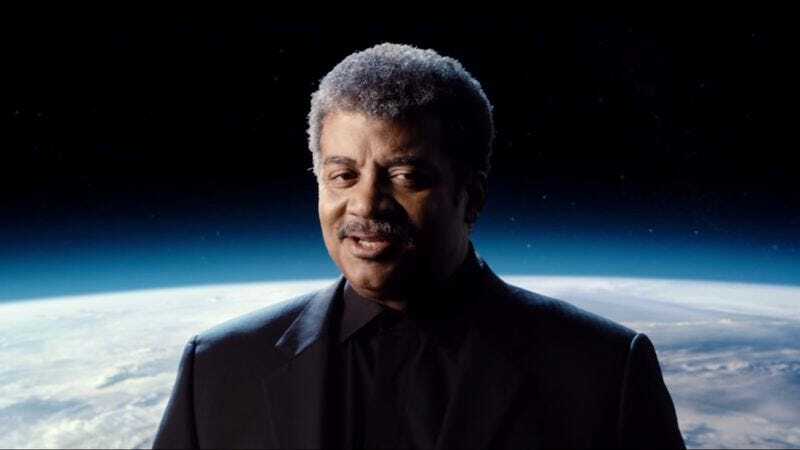 In one of the cooler cross-promotional moves in recent history, The Martian enlisted Tyson to explain the science behind the journey to the smallish red planet, going over the long travel period and all of the possible dangers faced by the crew on its perilous voyage. Tyson outlines what the Ares 3 crew’s mission is along with how the ship works and what they’ll be facing on the ground of Mars. It’s a slick promo that seems to use real science in order to get people geared up for the thrilling space movie coming out this fall. It’s possible that The Martian, with all of its trappings and grounding in real life astronomy and other sciences, will ignite more passions for visiting the outer reaches of space and end up being one of the greatest promotions for NASA ever conceived. Plus Matt Damon nearly explodes a bunch, which is always a treat to watch.